C.A. Confidential: Bachata Night Tuesdays @ Alley Catz!, Toronto, ON - Tues July 3rd! Bachata Night Tuesdays @ Alley Catz!, Toronto, ON - Tues July 3rd! 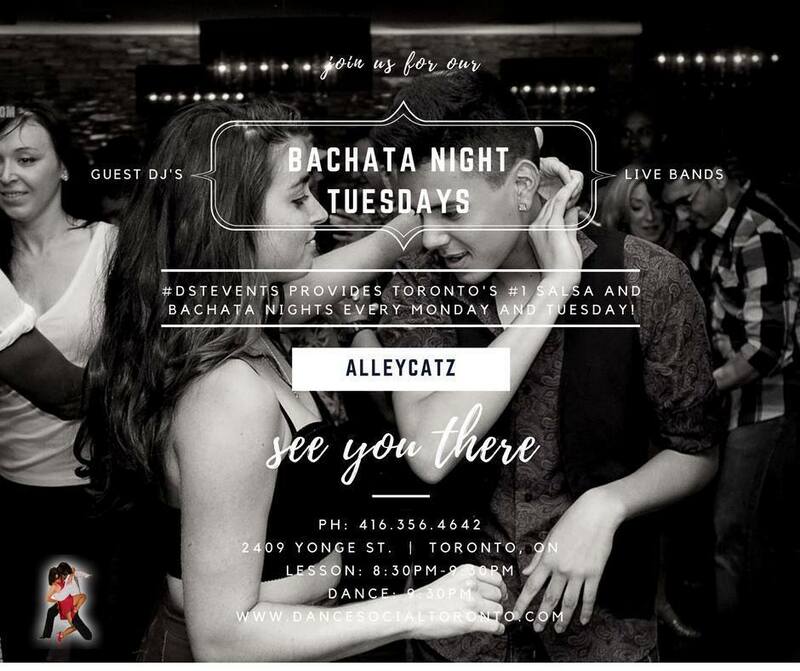 #DSTEVENTS PROVIDES TORONTO'S #1 BACHATA NIGHT TUESDAYS AT ALLEYCATZ! BACHATA NIGHT TUESDAYS AT 2409 YONGE ST. WITH DSTEVENTS! - FEATURING TORONTO BEST DJ'S & INSTRUCTORS! - BACHATA AND THE BEST IN LATIN MUSIC ALL NIGHT LONG!